Pans (OR) 10 - 1” Cafeteria Pans. into Pressureless Generator with ease. remove hot panels or pan rack guides. front of the unit warns operator it is time to delime generator. steaming temperature. Allows unit to start cooking instantly. For compartment door, cavity, and steam generator. Separate from the generator for easy access. 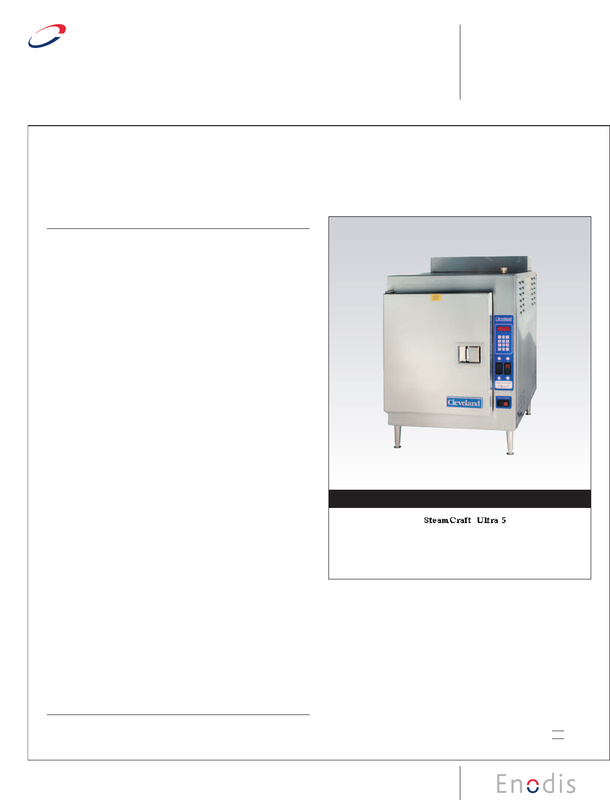 Insulated cooking compartment for thermal efficiency. Removable Stainless Steel Slide Racks for easy cleaning. d with Cord & Plug for 115 volt controls.